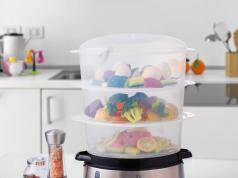 Here is another electric steamer that lets you steam multiple foods conventionality. 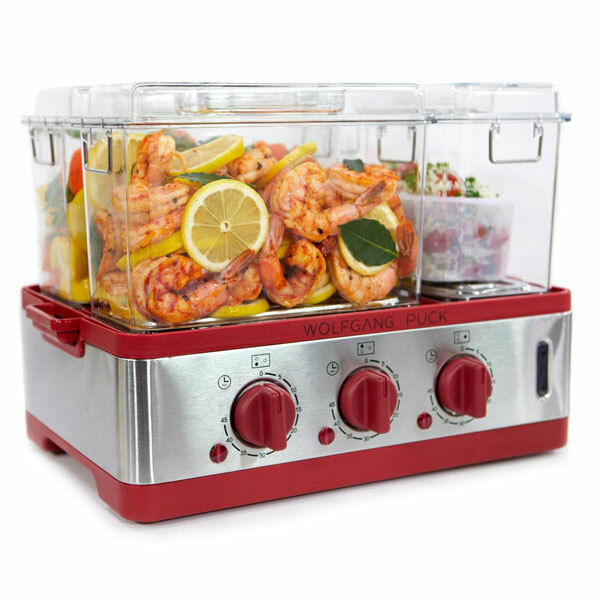 The Wolfgang Puck 3-chamber steamer has 9-quart capacity. 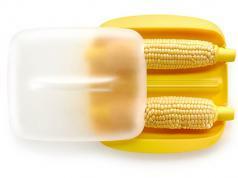 It comes with a 45-minute timer for each chamber. You also get 3 individual control knobs. 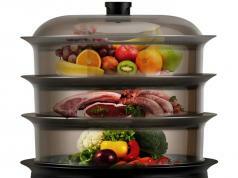 This steamer lets you cook up to 3 different dishes with 3 different settings. Costs under $90 at this time.